Striker and jersey number 7 Chencho Gyeltshen 19 scored two goals during the second leg of the World Cup qualifiers against Sri Lanka in the Changlimithang National Stadium in Thimphu.Chencho Gyeltshen also known as Parop is the center forward in Bhutan’s national team. As his nickname suggest he is from Paro Dzongkhag and hails from Shabha Gewog. 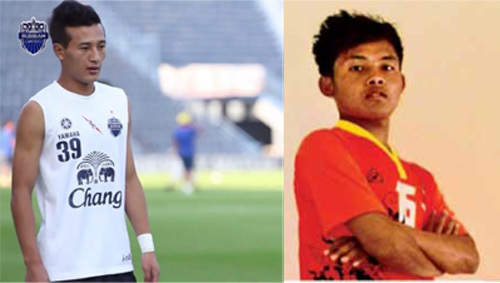 The Bhutanese (TB): When did you start to play football and who inspired you? Chencho Gyeltshen(CG): I started to play football when was in primary school. My brother who is studying in College of Science and Technology inspired me to play football. He used to say that I possess the unique talent in football. I was also inspired by Cristiano Ronaldo. TB: Is football your profession or a part-time job? CG: I take football as my future profession and I am never going to leave this profession. TB: Are you studying and are you going to continue your studies? CG: I have studied in Kelki Higher Secondary School till class XII. Now I have decided that I am not going to continue my studies, instead I will take football as my future profession. TB: How many goals have you scored till now? CG: I am one of the top scorers and highest paid from the clubs. For example, in Coca-Cola leg match, in seven games, I have scored 14 goals. TB: Apart from the national clubs, are you getting offers from international clubs? CG: Yes, I got an offer. I had training in Bangkok, and in June, I am going to Bangkok and playing in Buriram Football Club in Bangkok. TB: What kind of support is needed to strengthen football in our country? CG: Our government is supporting in many ways compared to the previous years. Nowadays the support is improving and football culture in our country is also developing. TB: What are you doing these days? CG: These days, I am on a break. 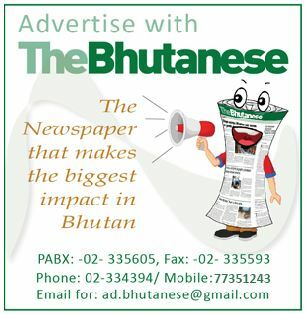 After some time, there will be club matches played in Thimphu, then after club matches are over, the Bhutan Football Federation will train us two-three times in a week for future matches. TB: What is your message to the younger generation who are football fans? CG: Many people say that by taking football as profession, we cannot sustain our live, but from my point, I think this perception is wrong. Now football culture in our country is developing. If our younger generations are going to take football as their profession, you can take it! Tshering Dorji 20, was the only goal scorer during the first leg of the World Cup qualifiers played against Sri Lanka at Colombo.He plays the position of an attacking midfielder. He is from Trashiyangtze hailing from Ramjar village. He plays for the Thimphu City FC club. His hobby is dancing. The Bhutanese (TB): When did you start to play football and who inspired you to play football? Tshering Dorji (TD): I started to play football in 2004 and my father has inspired me to play football. TB: Do you play football professionally or is it your part-time job? TD: I take football as my future profession and I am very interested in playing football. TB: Are you studying now? TD: I am a first-year student of Royal Thimphu College. TB: How many goals have you scored so far since you started playing in clubs and matches? TD: I don’t remember how many goals I have scored playing in club matches. TB: Besides the national clubs, are you getting offers from other international clubs? 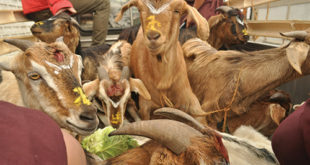 TD: All the people in Bhutan love football now. As there are only a few football academies in our country, I think there needs to be many football academies across the country to strengthen the football culture in our country. We need many football sponsors. TB: Your message to the younger generation who are into football. TD: If we have the will, we can do it. Now each national team member is getting Nu 10,000 per month, but when the football culture develops more in our country then naturally the payment will increase. If our younger generations are really interested in taking football as profession, take it as profession, but if younger generation are interested in studying, pay attention to studies.